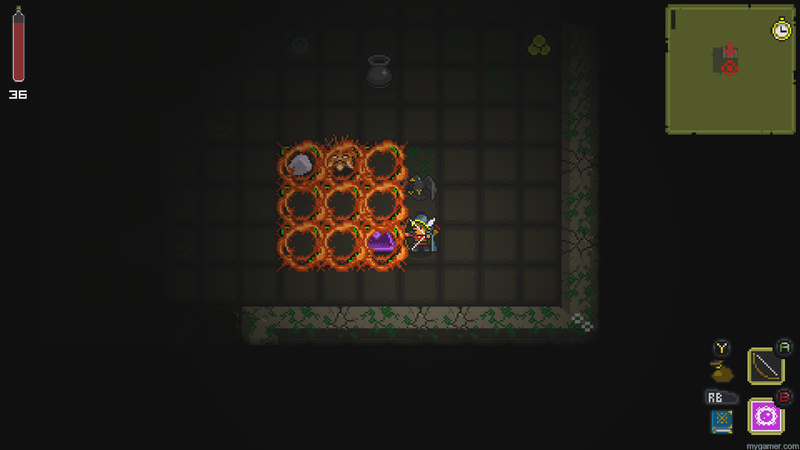 Even though Quest of Dungeons has a generic title, lacking soundtrack, and limited graphical palette, this “enemies move when you move” tile-based Rougelike had me addicted from beginning to end thanks to the accessible gameplay mechanics, a lenient difficulty factor, and the constant quest for better loot. 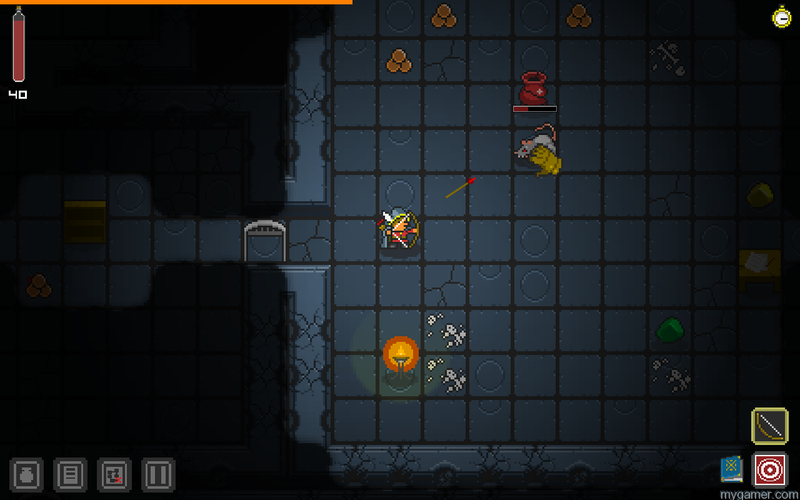 Quest of Dungeons looks and feels like an early SNES game. With hardly no animations and cheap sound effects, it isn’t hard to see that this game was produced by a very, very limited team. Luckily, the lower production values do not detract from the overall fun factor as the game works for the player instead of against it. Many Rougelikes and other dungeon crawlers have a brutal and often unfair amount of difficulty which can easily make players rage quit forever. Quest of Dungeons is a friendly and more accessible randomly generated dungeon romp because of little details that ultimately make the game what it is. There is no self-mapping feature to maintain, complex items to craft, or cheap bosses to overcome. Everything here is straightforward, simple, but yet entertaining with just enough challenge to keep you coming back for more. The player is free to start each quest with one of four playable characters (there is unlockable content that I do not wish to spoil here when the quest is finished for the first time). But each character plays differently from the ranged assassin to a class that focuses on magic. Gameplay touches, like the friendly mapping system, the visible cool down timer for special abilities, and simple inventory system makes the Quest of Dungeons playable by anyone. And if you don’t have about 90 minutes to reach the end in one sitting, the game can be saved at any time. Be warned, however, that death requires a full restart as is such for dungeoners of the genre. Use abilities for best chance of success. Sure, I wish there was a little more flair with the 16-bit sprite work, the enemy grunts were not so generic and out of place, and the soundtrack was a little more catchy (although the shop tune is pretty nice), but I still found myself coming back to Quest of Dungeons even after finishing it after several failed attempts. It might not be as detailed as, say, the Etrian Odyssey games but I really enjoy the friendly and accessible design.